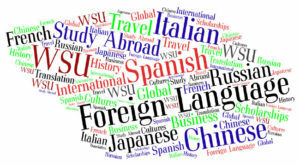 PULLMAN, Wash. – Washington State University recently was recognized among colleges and universities nationwide for its pioneering approach to teaching foreign languages. 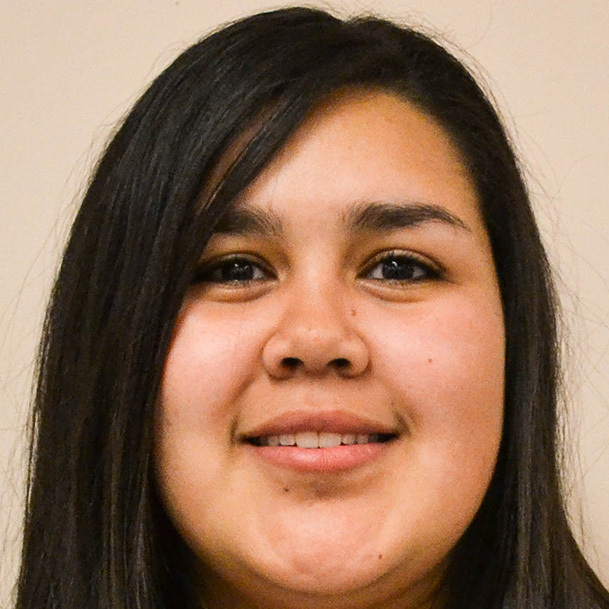 RICHLAND, Wash. – After adding a foreign language minor in the fall, Washington State University Tri-Cities this week awarded its first scholarship for the expanded program. PULLMAN, Wash. – Research about better integrating speaking and writing when teaching a foreign language will be presented by Washington State University Humanities Fellow Michael Hubert at 5:30 p.m. Thursday, April 2, in the Honors Hall Lounge as part of the inaugural Humanities Fellow Lecture Series. PULLMAN, Wash. – Thomas G. Taylor, a senior in the Washington State University Global Campus, has received a Boren Scholarship from the National Security Education Program (NSEP) to study the Mandarin language in Taiwan during the 2014-15 academic year. PULLMAN – The Kenworthy Theater in Moscow is partnering with WSU and the University of Idaho to bring contemporary French cinema to the Palouse. Since the 1950s, French cinema has been famous throughout the world for its creativity and quality. The Kenworthy is working with the language departments at WSU and UI to present the 2010 Tournées Festival, a program of the French American Cultural Exchange that aims to bring contemporary French films to American college and university campuses. 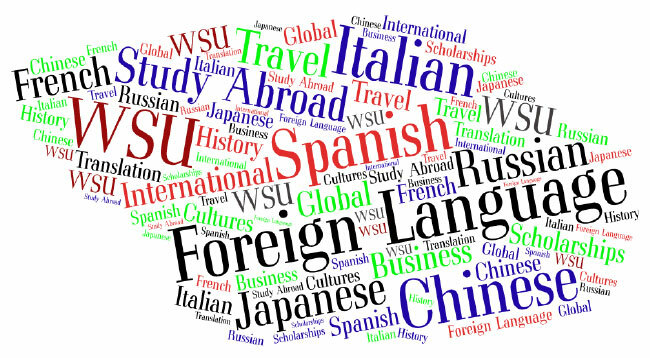 PULLMAN– The Department of Foreign Languages and Cultures (DFLC) at Washington State University will offer high school students a day of exposure to foreign languages and cultures on Sept. 27. The day will include lectures, presentations and interaction with DFLC students and faculty. Organizers expect approximately 300 students to attend from eastern Washington school districts including Pullman, Colfax, Spokane, Tri-Cities and Moscow, Idaho.